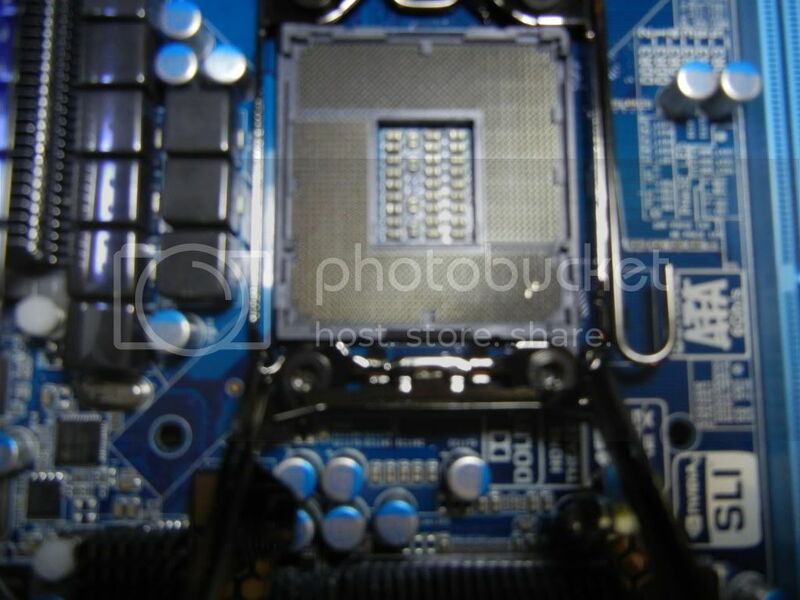 You were right there are two bent pins on the cpu socket what should i do? Very carefully straighten them if you can. For got to mention if your camera supports macro mode use that. But yes you can easily see 2 or more pins bent. Be careful when trying to straighten them. Well i thought I fixed the problem the computer booted up, however now windows is failing to recognize my usb devices like mouse and keyboard after it reaches to the desktop, what can i do? Did it work in windows before? Can't see how the pins would affect the keyboard but I could be wrong,is the full 12 gb being detected now? Yea all 12 gb of ram are now recognized and being used. I was having an issue restarting after they got recognized. Was getting a bsod, but I lowered the voltage on them and that did the trick.